"I've already earmarked a customer for this drum -- I need to get a move on!" 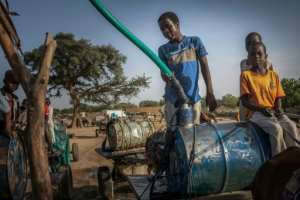 "After the rainy season, water becomes scarce," says Mahamat Adoum Doutoum, chief of the Guerri region, where only two deep wells exist for 86,000 inhabitants. "So people go to look for water in the wadi." 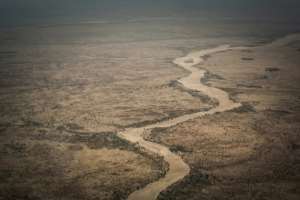 Wadis -- "riverbeds" in Arabic -- are watercourses that run strong and fast during the rains and are often dangerous to cross, but largely dry up for the rest of the year. When there is no more rain, people dig wells in the wadis and install pumps to extract groundwater. 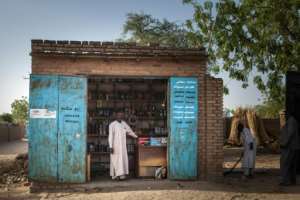 Each refill of his 200-litre drum costs Ali 100 CFA francs (0.15 euros / $0.17), but he can sell the water for five times as much in town. "We do between seven or eight return trips each day, roughly," he says. Towards the end of a hot Sunday, the blazing sun has set and Ali's cart is heading towards Hadjer Hadid. 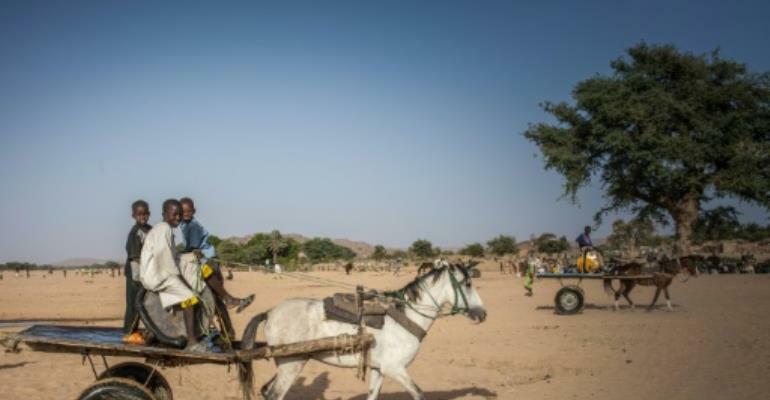 He first came to Chad about 15 years ago and says that he "suffered" to be able to buy his own donkey. "To drink the water, you also have to add bleach," Pascal says. "The water can be contaminated at various points, either at the source, which may be unprotected, or during transport, using receptacles which are inappropriate, dirty or uncovered, and during storage and distribution," says Fabienne Mially, mission chief in Chad for the French aid group Premiere Urgence Internationale (PUI). In Borota, a village several hours' drive from Hadjer Hadid, the head of the local health centre has no illusions. Of the six standpipes in the village, none is working any more. "They were installed by NGOs," says the official, Koditog Bokassa, who says that wadi water is the only available source of water locally. "But the holding basins are insufficient and the two water towers broke down several years ago," says local resident Hassan. One trader has bought two barrels of 200 litres apiece, which he leaves in the courtyard of his house. "It's barely enough for the children, but it's better than nothing." "I haul water every day, but I have the same problem as everyone else," he said.